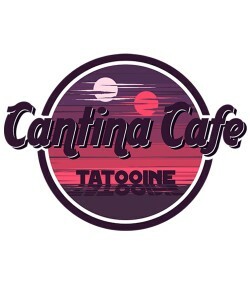 Yeah, I was on a mission to visit all the Cantina Cafes in the galaxy, but they keep on closing down. First the one on Jedha, then the one on Alderaan. Such a bummer, man. At least we’ll always have the one on Tatooine. Nothing bad ever happens on Tatooine, right? I mean, if there’s a bright center to the universe, that’s the planet that it’s farthest from. Nothing gets to it. I mean, I guess there was that one time that farmer couple got incinerated by Storm Troopers in their own home… but, ya know, other than that. I just wish the Cantina was located in a wretched hive of scum and villainy. I would visit it more often if it was on more of, like, a wide open field with a nice view of a canyon or something. That’d be sweet.